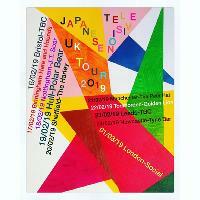 Japanese Television play Hare & Hounds on Sunday February 17th! Setting Son Records Presents: Japanese Television plus special guests. Japanese Television are the self defined space, surf, kraut, wonk band. Intrigued? So were we. Formed in late 2017 the band are now taking their space surf sound on the road. Having recorded their debut EP with Kristian Bell of The Wytches the band have received radio play from Steve Lamacq, Toms Ravenscroft and John Kennedy. Tickets £6 in advance £8 on the door.